This Saturday! 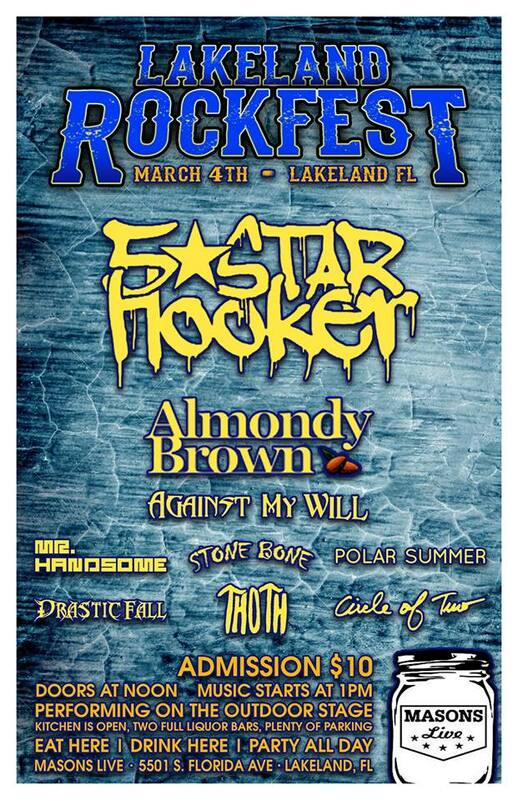 Lakeland’s first outdoor rock fest! Check out the amazing band line up! Great food selection, free parking..all ages..conveniently located between Orlando & Tampa! Bring your family & friends!